Well it's a crap photo, but seeing as i found a wireless connection I thought I'd throw up a photo. 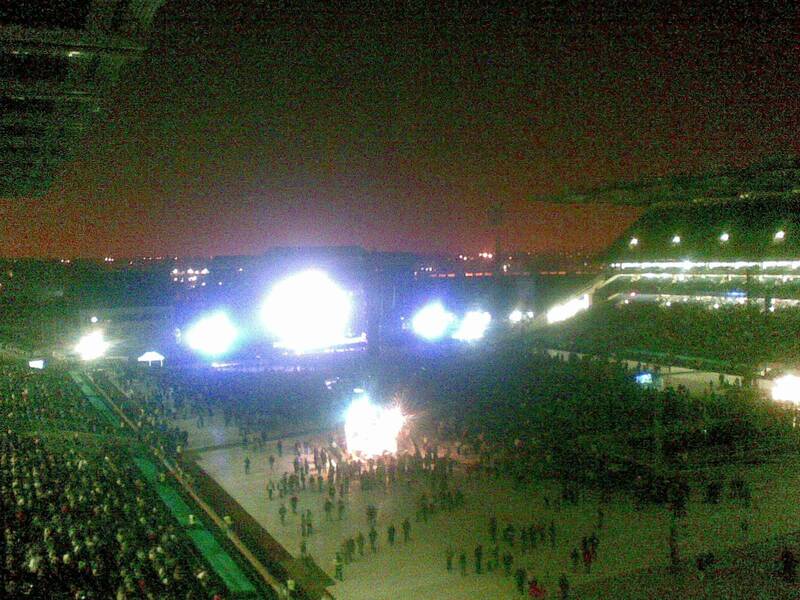 So yeah, i'm sitting in croke park, the biggest stadium in Ireland. The police are going to be on in a little while and sting's son's band are playing support. They're pretty lame.